In under 10 minutes, 99.9% of the world's population will be dead... or changed. Conversion is instant. Headshots just make them angry. And they're getting smarter. Ken Strickland has made it through the first moments. But his family is still out there. Can he survive? Can he find them? Or will he become one more of the creatures that now rule our world? Being alive means you just have more to lose. The zombies are changing. Growing faster. Stronger. Smarter. Working together to destroy all of humanity. Ken Strickland has found his family. But finding something and keeping it are two very different things. The survivors are bruised. They are broken. And they are about to find out that the worst monsters are among those they count as their friends. as the story opens ken and his group of survivors are going up in the elevator of his wife's building. they discover that some of the infected are acting differently. kind of like the aliens in the alien movies, these infected are secreting something from their mouths, building cocoon-like structures and webbing. the infected let ken and his group just pass on by as they wander around, which i kinda found weird. but ok, i'll buy it for now. ken finds his wife and 2 children in a drugged state, encased in webbing. it's not until they try to free ken's family that those infected get agitated. once ken's family is free, they flee the building across a giant crane that has fallen between the 2 buildings. and this is where things start to get even weirder and more unbelievable.there are like thousands or even tens of thousands of infected chasing them. either they are able to elude them or the author forgot just how many were chasing them.the story devolves into 2 really long action scenes, where ken and company are chased and stalked by different kinds of infected. from the story, i know we're like 4 hours into the infection, but i just don't know how these people were able to keep their energy up enough to perform these feats- crossing a huge crane and then shimmying down an elevator shaft infested with another type of infected. the believability went out the window for me. i just don't see how the infected have evolved into so many varying types so quickly after just a few hours. initially, i was intrigued by the characters, but there's just no time to develop them b/c they're always running and fighting for their lives! the story ends in another cliffhanger, and i was left thinking how much more can these characters take? overall, i was disappointed by the direction the story took. the action was so frenetic and the tension was so high that i actually felt exhausted after listening to this short story. it's a frustrating listen, and i can't recommend it. download at your own risk! 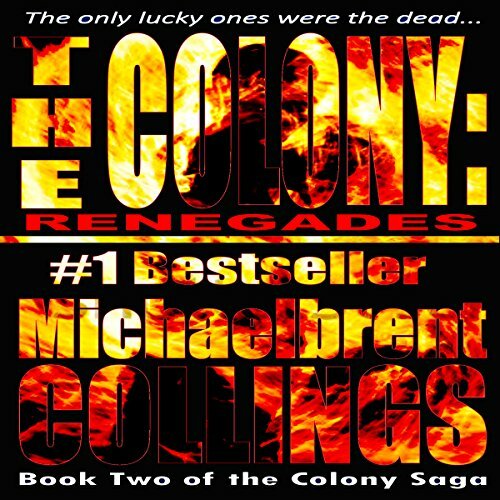 What disappointed you about The Colony: Renegades? Two books into the series and I feel numb to the action that keeps getting thrown at the characters nonstop. Plus we still have zero answers about what is going on. I feel cheated and am officially done with this series. 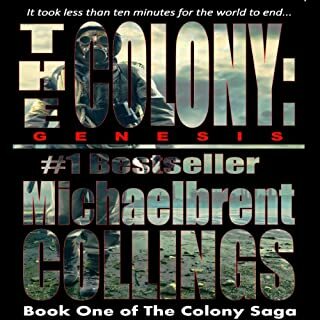 Has The Colony: Renegades turned you off from other books in this genre? I'm still looking for a great zombie story, unfortunately this one wasn't it but I'll keep searching. The narrator did an okay job but many of the characters weren't distinguishable by the narration. He didn't do much justice to the child voices that instead came off sounding like an adult trying to sound like a child and took me out of the story. If you like non-stop action rather than character development or answers then you'll like this book. 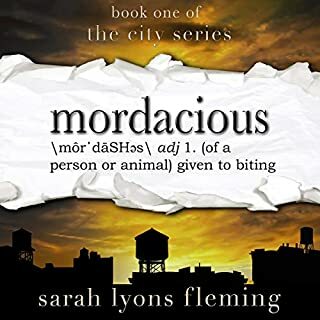 I received a free download on Audible in exchange for an honest review. Yes. Well-written and quite well performed. The son. He died for his mother. The son dying to save his mother. No. My workouts are too short. Another movie-in-your-head read. Be prepared to see good guys bleed and die and suffer multiple concussions. Would you consider the audio edition of The Colony: Renegades to be better than the print version? Yes. I love the freedom of listening to a wonderful story while crocheting. The narrator has such a calm soothing voice amid all the chaos and violence. I am really liking the connection Dorcus has with Aaron. Which character – as performed by Kent Clark – was your favorite? I am actually really liking Aaron. YES !!! I loved how each chapter ended in such a cliff hanger you could not simply stop listening. You had to find out what was happening next. What did you love best about The Colony: Renegades? 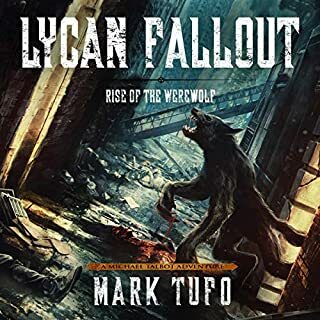 This was one fast paced story, just like the first book, but this time it slowed down a little bit, not much, but a little. It gave me time to catch my breath! These zombies are turning into something awful, with spider like abilities and they throw up acid! Scary as heck! I loved this story, but the most important thing about this story are the characters. I love most of these people, and I'm not looking forward to them dying. I've got my two favorites and I don't want them to die. One last note, the man who read this book was good. The best Audible voice I've ever heard. Granted, I've only listened to 6 audio books, but 2 I gave up on because they screeched the women's voices and it took me right out of the moment and back to reality. This man is good. Yep, I'd recommend this story and author and the Voice to anyone. Zombies that are practically undefeatable?!! I have had the pleasure of hearing Michaelbrent Collings books before. I am amazed at how his mind works! Collings is definitely creative with a dark twisted side that only a true writer of horror can manage. This is clearly evident in The Colony: Renegades: The Colony, Volume 2. I would imagine that waking up one morning and find oneself smack in the middle of a zombie apocalypse would be mind boggling. However, to discover that the zombies are not only changing but are practically undefeatable would be enough to make most throw up their hands and give up. Not so for Ken or his pack of survivors who travel into the city to find his wife and children. Every parent’s nightmare – to be separated from family when they need you the most and the overwhelming fear of failing them. The building where his wife works is overrun with zombies but ones that ignore them until they attempt to back out. 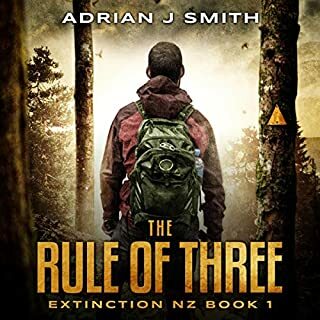 Herded further down the hallway, Ken and his pack discover that the acid vomiting zombies are the not the only ones to fear – now there are newer, stronger, and more deadly ones! Collings combines fears like a master playing on untapped fears, drumming up nightmares that are best left forgotten in the early morning light. Instead he drags them out for all to experience setting them loose to roam through our minds and dreams. In this short volume, Collings added new fully developed characters and even though I had not heard the first volume it is clear that the main characters are solid in their development. The plot flowed smoothly as did the fear! 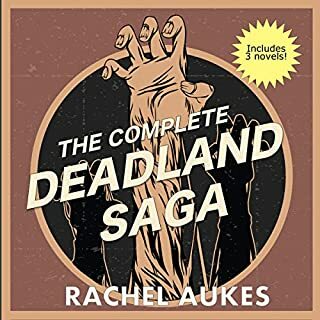 I have not had the pleasure of hearing the first volume, yet volume two’s start was not confusing – it was clear that this rag tag group of survivors had suffered and managed to survive a harrowing journey and defined their mission in this volume clearly. The ending was abrupt but it was at a good place – makes me want to hear the rest. Kent Clark did an excellent job of narration. He spoke clearly and concisely. His characters were clearly identifiable. While he could have overplayed the horror and excitement, he did not. He drew the listeners in with his skill and let the story over take me. The audio production was good with the exception of some light static like background noise whenever there was a “chapter” pause. The audio flowed smoothly and there were no issues. Would you try another book from Michaelbrent Collings and/or Kent Clark? I might. I would have to check the reviews. There is plenty of action and suspense here, but what I feel is lacking is any sense that we're getting to know the characters. They are basically in one non-stop action scene. While that is exciting, it is also kind of one-sided. I don't find that much to make me care about the people in the book. It is more like catching a tragic story on the evening news. You sigh and wish people didn't have to go through that, but then the commercial comes on and you forget about the story. What does Kent Clark bring to the story that you wouldn’t experience if you just read the book? Kent Clark's voice is very pleasant to listen to, and he speaks clearly. 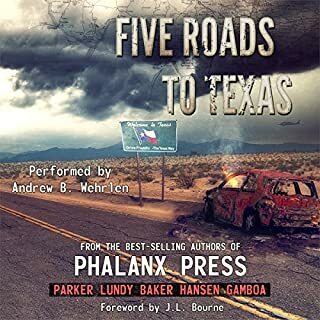 I can't say he added any additional element to the experience, besides allowing me to "read" this story as an audiobook, which fits in with my lifestyle. Was The Colony: Renegades worth the listening time? I'm glad I checked out this author, but I don't think this type of story was for me. Whether fair or not, I hold stories like this up to the example of Stephen King. King gives us horrible, terrifying situations like the one in this book, but he also gives us the added dimension of a set of characters we care about. Besides simply reacting to nonstop danger, what is it about the characters in a story that causes them to act the way they do. I was missing that element in this story.